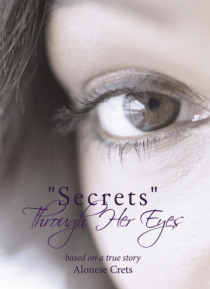 "e;Secrets"e; - Thru Her Eyes is about a frightened girl who searches for love and attention in all the wrong places and find herself in a pool of misery before her time. She experiences at an early age what most grown women don't experience until they are well into their mid-lives. As the girl grows up her experiences doesn't become any lesser for her time spent aging. The girl learns val… uable lessons throughout her life but only takes one with her to her adulthood. As a young girl she finds herself losing her way but eventually finds her way back on the right path. It takes many tribulations before she realizes only one thing can save her from a total road of destruction. Once she figured out what was in the mirror she might not be afraid anymore, or would learning the truth about someone so close to her make her run faster?She only hopes to figure things out quickly since life was running out of options.